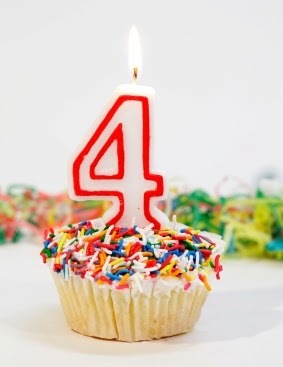 Happy 4th Blogiversary, Brenda. I think I've been with you from the beginning and am very glad for that. You've had many wonderful posts, and I thank you for them. Now go have a piece of cake. Brenda, happy Blog anniversary! This is my 1st visit to your blog. Very attractive set up. Wishing you many more happy posts, exciting discoveries & a future filled with the past. Barbara, Thanks I appreciate the support you have given the past four years. Colleen, Welcome! Thank you for your kind words. Happy Anniversary! Can't believe it's been four years. Congrats. Kirsten, I have you to think for it all! Congratulations on four successful years! 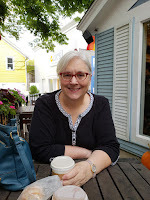 Your blog inspires me in my own blogging efforts - thank you! Mary, Thank you for your kind words. Keep blogging, you are doing a great job. Congrats on four great years, Brenda!! Thank you, Julie! I appreciate the support.